For Mother’s Day I bought my mom a maxi skirt that she could wear to work; she’s an elementary school teacher, so practicality is a necessity when it comes to dressing. She informed me that, in a rush, she threw it on and wore it to one of her faculty meetings. Everyone there kept was asking her why she was so dressed up. We both had a good laugh at that because when it comes to comfort, nothing can really beat a maxi skirt. It’s pretty much a fancy way to wear pajamas in public–which is what I’m all about. Let’s not forget how incredibly versatile they are. 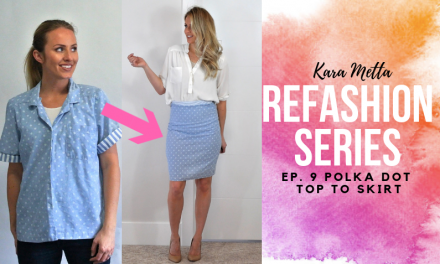 Check out how this skirt can be styled year round. Oh, and did I mention it’s currently on sale for only $10!!! And they have 6 colors. The set above is inspired by the refashion below. I lucked out this spring and scored this beauty at an estate sale for about $3. There was a huge issue with staining, which is why it was priced so well. 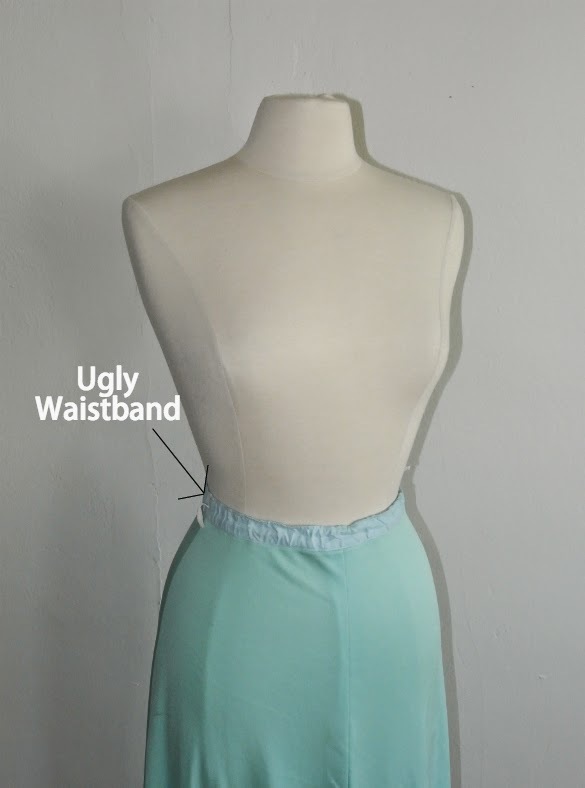 The biggest issue was that the waistband, which was made to be worn underneath the top, was hideous and had become permanently crinkled over time and ware. Here’s how I did this. It’s so easy! 1. I folded the sash in half and sewed the pointed ends together. 2. 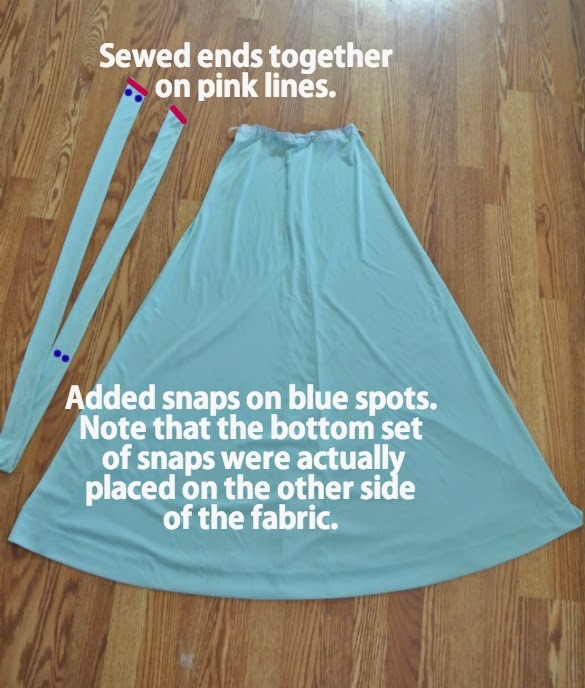 I wrapped the sash around my waist and marked where I wanted to sew in snaps. 3. I sewed the snaps, which are from a dollar store sewing kit, onto the end of the sash, and the place where I wanted it to sit once wrapped around. And that was it. 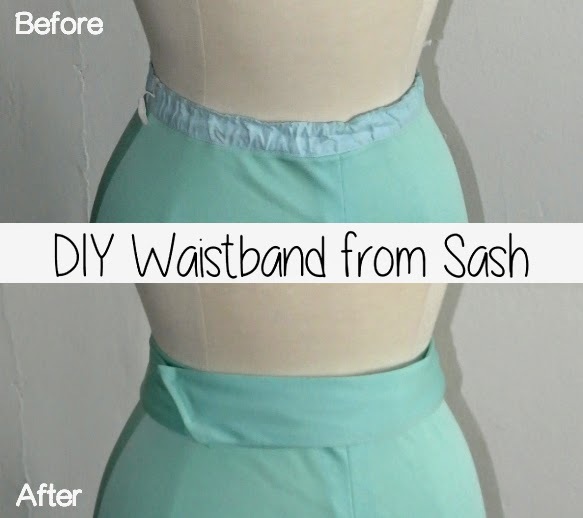 It took all of 10 minutes to create a waistband that looked super cute and made a HUGE difference. The skirt is now wearable. I also took it down about and inch and a half because I’m 5’9 and wanted the length. 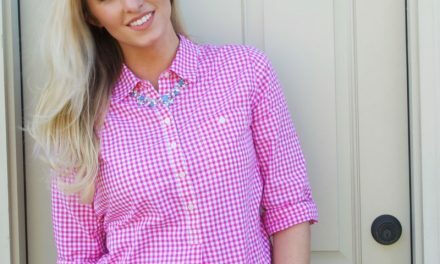 This post was originally shared on Pretty Providence. Speaking of them, have you entered to win a $100 Visa Giftcard yet? Click here to do so.